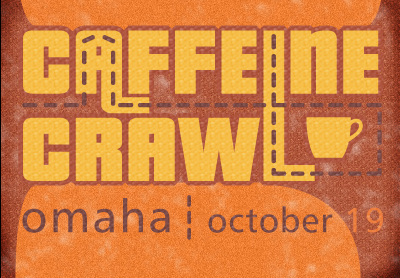 Caffeine Crawl number 15 is coming to the state of Nebraska. Omaha was once home to one of the world's largest stockyards and is the birthplace of the TV dinner. Now the city has several Fortune 500 businesses and is home to business magnate and philanthropist, Warren Buffett. Omaha has seen a lot of growth and change in the last decade. Alongside attractions like the Henry Doorly Zoo, which is gaining more than just regional popularity, and the site for the College World Series, there is a boom in the arts and beverage worlds. When looking for a host city for a Crawl several factors must be in place, including a growing and excited specialty coffee culture. Omaha’s coffee culture is certainly following the city’s craft beer movement, as a rise in local artisan breweries and distilleries has helped pave a path for the same quality of craft in coffee and tea. With its recent movements in local coffee, including the newly formed Nebraska Barista Association and new or existing shops that are stepping up their game, Omaha is a coffee city that demands recognition. It doesn't get much better than fall in Omaha! If you want to be a part of the most exciting coffee and tea event the state has seen, then be sure to get your ticket and join us on Saturday, October 19th! There are only 100 total tickets available. Don't worry--we made sure that the Cornhuskers had that Saturday off. 7 participating businesses have joined the lineup, and the 100 tickets are divided into 4 different routes. There are 6 shops on each route, so you can choose the one that interests you the most. All routes will begin at Beansmith Coffee, in the Roaster Sponsor's newly renovated site. The event will begin at 10:30a, sharp. Before taking off to the next 5 destinations, we'll have a quick raffle for cool industry prizes where all the proceeds will go to an event charity (to be announced soon). Top prize includes a Baratza Vario-W burr grinder (a $500 value). All routes are set and approved by each shop. You are to provide your own transportation and event is from 10:30a to 3:30p. You will receive an email confirmation with more details and a physical ticket will be mailed to you. All details are on the ticket page.